It should be no surprise that Percy Pig is celebrating Halloween this year, and the Marks and Spencer range of sweets is following suit. 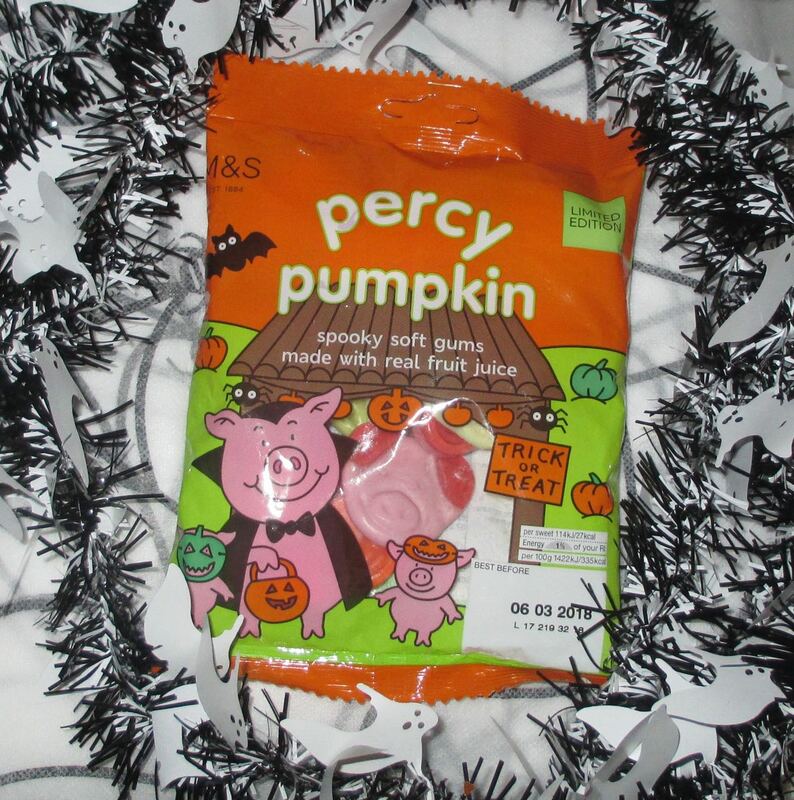 They have released these Limited Edition Percy Pumpkin sweets (amongst other things). Inside the bag are three varieties of sweets. These are the traditional sweets that are famous for the brand. There is no Halloween make over on these ones which is a bit of a shame. Having said that the nice mix of grape and raspberry give these a sweet berry taste and they are very easy to eat. These green coloured Percy’s do have a grizzly grin and look perfect for Halloween. These green sweets left me guessing for a while, after I ate the first one I couldn’t decided if I thought the flavour was lime or apple. Eventually I looked at the bag and it pointed out that it was both a mix of lime and apple, which explained everything. It is a lovely refreshing flavour, and not too zingy at all. The orange coloured Percy’s had a monstrous pumpkin smile. The flavour of these orange sweets was a lot easier to work out; orange. It was a delicate citrus flavour though, sweet but mild and more reminiscent of tangerine. I think these ones were my favourite as they had the edge on juiciness. 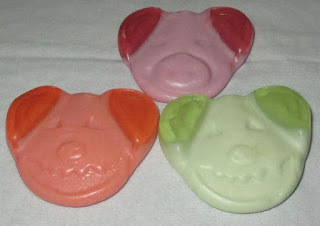 These sweets were really lovely too munch on, and I liked the Halloween theming. Unfortunately I managed to eat them all before the big day so didn’t get to share any with Trick or Treaters, oops! Still I have plenty of Halloween goodies to work my way through.